2. Setting up of income generation projects such as Internet cafe/training centres and charity shops. 3. 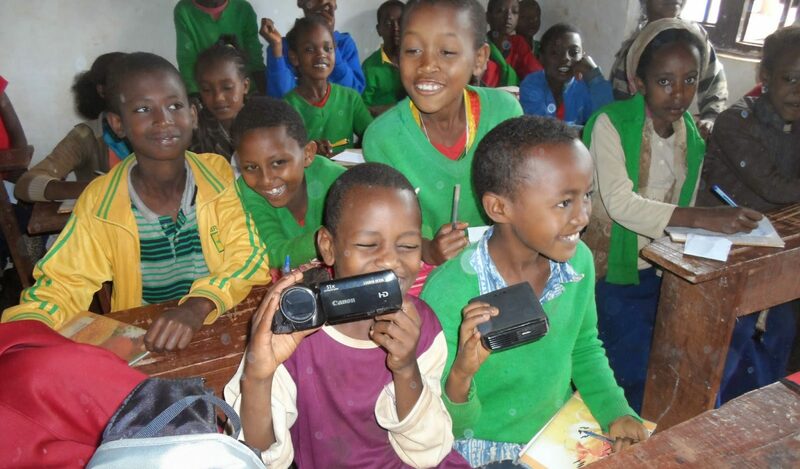 Education materials support project for different schools and colleges in Ethiopia. AHEAD and OYA-UK are delighted to invite you to the Oromo Annual Sports Day. We will publish all the details soon. We are planning to have sports event from 10am-5pm, followed by an entertainment programme until late in the evening! Please stay tuned and spread the word! A Big Thank you to all those who have supported our fundraising event. More donations are still coming in. AHEAD is very greateful. AHEAD is always keen in consulting with local communities and their leaders. We have learnt a lot of useful information about current communty needs in the country. Please participate in AHEAD’s planned sponsored bike ride and walk to raise funds for AHEAD’s projects on Saturday 3 October 15 in east London. We are delighted to announce the construction of Shakiso girls’ hostel has begun. AHEAD and UDA have been renting accommodation for disadvantaged girls from deprived rural areas for the last seven years, so that they can attend Shakiso secondary school. Now we have secured funding to construct a purpose built hostel for the beneficiaries in the same town. The construction work is now underway. The girls will have a heathy and safe place to live. We are thrilled and grateful to our supporters. We will keep you updated. Following our success of hosting 10 German college students a few weeks ago, AHEAD hosted another 20 college students and their teacher from Germany on Sat 23 May. It was a very successful one day event. We are in the process of putting a summary of the visit on AHEAD’s blog. As we announced a while ago, AHEAD and UDA had secured £24,000 funding from Civil Society Support Programme to build a hostel for disadvantaged girls in Shakiso town in rural Ethiopia. The hostel will provide safe accommodation for destitute girls who do not have money to rent accommodation or have no family or friend to stay with to go to school. Without such support these young girls run risks for their well-being and exploitation. Capitalising on this success, AHEAD and UDA will raise funds for similar projects in disadvantaged children rural areas. AHEAD and UDA appreciate any support with these projects. The land for the hostel construction has been given to UDA/AHEAD by the Guji Zone and Shakiso Town administrations. The architectural design for construction has been completed. The construction work itself will be underway very soon. AHEAD and GEB London have made a partnership arrangements for 10 German college students to visit AHEAD’s office and the local area in east London. The visit was aimed at raising the students’ awareness of multiculturalism and active social participation such as running a charities for good causes. The students who were accompanied by Kasia of GEB London visited the Mill Community Centre, where AHEAD’s office is based. They also had a guided tour of Vestry House Museum and Walthamstow market, the longest open market in Europe. Elfneh, Jaalannee and Rose explained about AHEAD’s mission and the local area in relation to the projects that the charity does both in the UK and Ethiopia. A discussion was held on multiculturalism. The students were also welcomed by Dr Stella Creasy, the Member of Parliament (MP) for Walthamstow, who gave a presentation to the visitors on the British politics and history and Election 2015. Rosie and Jaalannee gave a presentation on multiculturalism in the UK. The visitors raised various questions and stimulating discussions were held as a result. AHEAD and GEB London intend to carry out more similar educational projects in future. AHEAD and UDA have secured £24,000 funding from Civil Society Support Programme to build a hostel for orphan girls in Shakiso town in rural Ethiopia. The hostel will provide secure accommodation for destitute girls who do not have money to rent accommodation or have no family or friend to stay with to go to school. Without such support these young girls run risks for their well-being and exploitation. Capitalising on this success, AHEAD and UDA will raise funds for similar projects in deprived rural districts. Support with these projects is much appreciated. AHEAD and UDA, our local partner charity, are very delighted to announce that Laga Danbi, a local mining firm, has donated 2000 Birr each to the beneficiaries of Shakiso Girls’ hostel this month after the girls’ needs were presented to them. The financial support is aimed at meeting some of the girls’ basic necessities such food and learning resources – textbooks and stationery. AHEAD and UDA are very grateful to Laga Danbi and hope that the kind humanitarian assistance will continue in future. Dr Elfneh U. Bariso, Chair of AHEAD, visited Ethiopia from 18 July – 20 August 2012. During the visit Elfneh held several consultation meetings with community members, leaders, students, teachers and government officials at all levels to mobilize support for AHEAD/UDA projects. Elfneh distributed educational resources to schools, colleges and universities; and delivered training sessions to students and teachers/trainers. For further information or enquiries, please contact Elfneh Bariso via elfneh@gmail.com or 0794 659 2607. AHEAD is delighted to announce that a regional education office inEthiopia has requested AHEAD and UDA, our local partner, to assist the newly built Shakiso Technical and Vocational College of Education and Training. The details of this collaboration are being discussed by the stakeholders. This is a new opportunity as well as challenge for AHEAD and UDA. We will publicise more information when final partnership arrangements are agreed so that our supporters will be able to follow our progress. AHEAD is delighted to announce that YOU have raised £3,465 as a result of AHEAD’s Bike Ride held on 5 June. AHEAD repeats its gratefulness to you for your great help. We’ll pay the rent for the girls’ hostel and save the rest of the money until we raise enough funds to start building the community vocational training centre. We hope that your support for us we’ll continue to help us achieve our goal. Ethiopia’s poverty-stricken economy is based on agriculture, accounting for half of GDP, 60% of exports, and 80% of total employment. The agricultural sector suffers from frequent drought and poor cultivation practices. Drought has seriously affected even districts which traditionally were known for their good agricultural produce. Bush fires, which are exacerbated by prolonged droughts, have destroyed the remnants of forests that had survived farming, building and charcoal making. The majority of inhabitants have been experiencing famine for a long time. The enormous healthcare, educational and development needs require a systematic and determined response from citizens, NGOs and the international community.